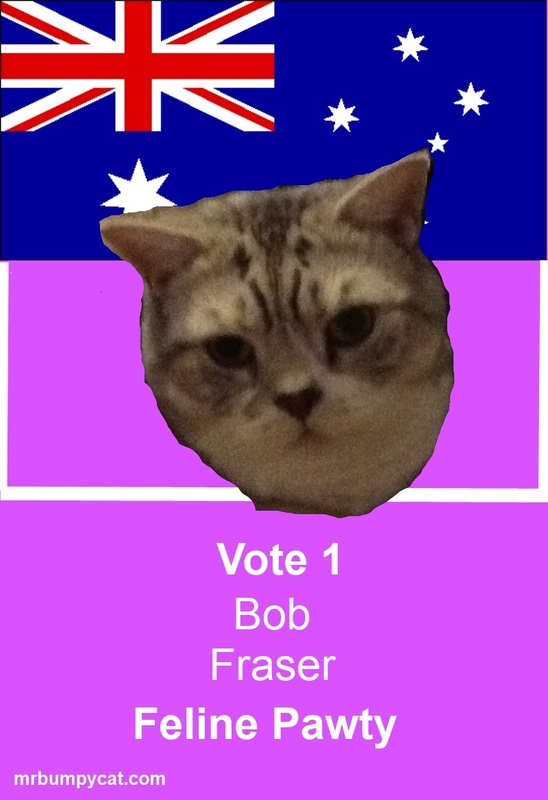 The Feline Pawty Candidate for Fraser, ACT is Bob. 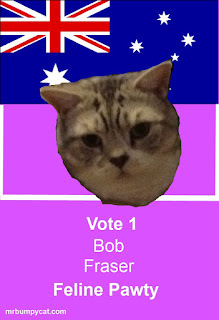 If you're in Bob's electorate and want to know him better, he's @BobtheBellyCat on Twitter. Keep up to date with Feline Pawty News at Campaign Central.